Bring our music home with you! The annual Christmas Candlelight Concert is a St. Louis tradition. The festive evening includes a work by Bach or another major composer, followed by carols, a moving candlelight processional, an audience sing-along, and a guest choir of young performers. 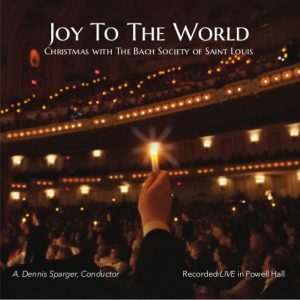 This CD captures many favorites from the Candlelight Concerts, heard here in the glorious acoustics of Powell Symphony Hall.